The Minister of Information and Culture, Lai Mohammed, has described as "absolute fake news" the reports that the abducted Dapchi schoolgirl, Leah Sharibu, has died in captivity. "It's absolutely fake news. There is nothing like that," the minister was quoted by his spokesperson as saying at a press briefing in Ilorin, Kwara State, on Sunday. 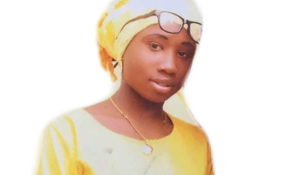 Miss Sharibu was abducted alongside over 100 other female students from their secondary school in Dapchi, Yobe State in March 2018. In the statement by Mr Mohamamed's spokeperson, Segun Adeyemi, the minister claimed the repoted death of Miss Sharibu's death, few days to the presidential election, is a ploy by the political opposition to tarnish the image of the administration and exploit primordial sentiments ahead of the polls. "I think it's part of the opposition's strategies to throw everything at the administration and at the president. I think everyday they are realising the hopelessness of their position. "Everyday they are amazed by the support Mr. President is receiving from every part of the country and they have decided that they are going to spread falsehood, inflame passion and make this election a Muslim-Christian affair or North-South affair, but people are not listening to them," Mr Mohammed said. The minister did not , however, say if the government had any recent intelligence to confirm Miss Sharibu is alive or where she is being held. Speaking on the Monday's presidential campaign rally in Ilorin, Mr Mohammed was quoted as saying the All Progressives Congress (APC) has put everything in place to ensure that the visit of President Buhari is a huge success. "The party has been meeting in the last couple of days to ensure that the president's visit is very successful. We have watched the rallies in many parts of the country and we want to assure Mr. President that our rally in terms of numbers, quality of people, entertainment and colour will rank among the best," the minister said. Mr Mohammed appealed to security agencies to create a level playing field for all the contestants in the election to allow the people to freely exercise their franchise. He said those involved in legitimate activities have nothing to fear. He also described the protest in some circles over the redeployment of police commissioners across the country as the handiwork of the opposition, which, he alleged, is working to discredit the police and the Independent National Electoral Commission (INEC).